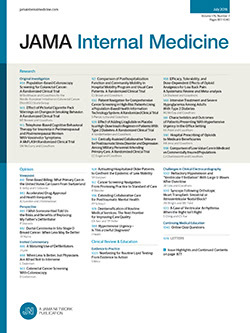 Physicians and teaching hospitals in the United States receive approximately $7 billion from the pharmaceutical industry annually.1 These payments have been associated with higher-cost, brand-name pharmaceutical prescribing.2-4 Whether industry payments are associated with physician treatment choice in oncology is uncertain. We examined the association between oncologists’ receipt of payments from pharmaceutical manufacturers and drug selection in 2 situations where there are multiple treatment options. The authors have missed one obvious covariant in their statistical model. Yes, it appears that higher payments are associated with higher prescription rates for some of the drugs in the study. However, we need to look at what is behind those two variables. First, let's look at payments. Physicians are highly educated and work extremely hard for their living. Because of this, they usually get paid for the work that they do. Clinical research requires additional care, recordkeeping, and sometimes equipment and instrumentation. Clinical trial work is usually paid on a per patient basis. Thus, the more patients an investigator enrolls, the more they get paid. Second, what drives adoption of a new drug? Experience using that particular drug. Thus, investigators who enroll more patients in clinical trials gain more experience and are more likely to be confident using a new treatment in their practice once it is approved. This will add to their experience and result in higher tendencies to prescribe this medication. The missing covariant in the analysis is work, which can be expressed as numbers of patients enrolled in clinical studies under their care. I encourage the authors to reexamine their data on this basis before casting aspersions on the "strategies" of companies or the judgment of physicians.